It was a Different World, for Sure! When the year 1918 began, the Great War — World War I, as it would be later known — was still raging, although it would end before the year did. Russia declared a republic of Soviets. There was a huge, worldwide health crisis — the Great Influenza Pandemic — which would kill between 50 – 100 million people. Europe was in turmoil, and America was too. In that upheaval, the little country of Denmark, situated just north of Germany, tried to remain neutral. 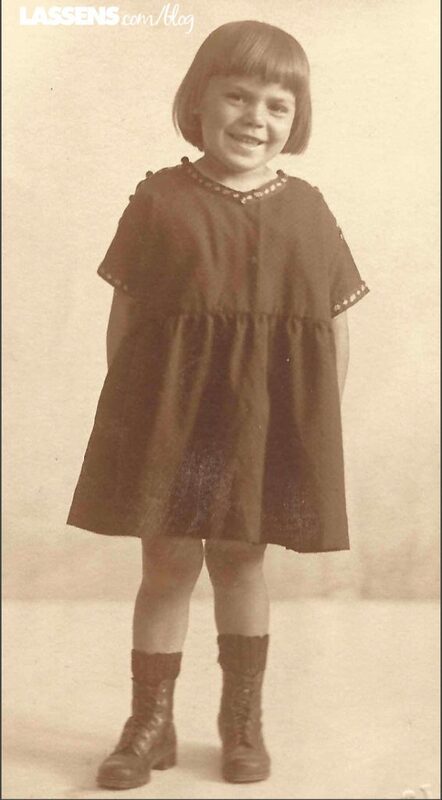 Family life continued, and on August 21, 1918, a baby girl was born to Larsine and Thomas Nielsen. They named her Oda Helene. 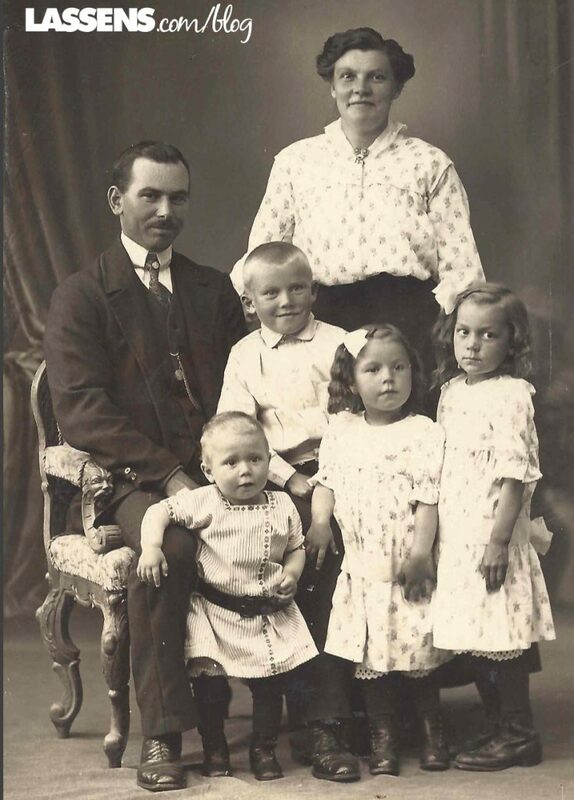 Her father was at sea — a common career for numerous Danes — and didn’t see her until she was 8 months old. 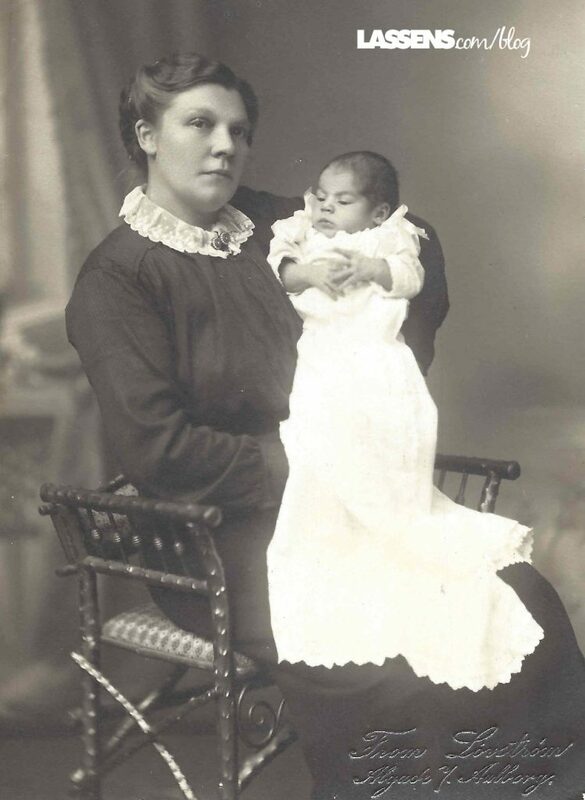 Larsine had a photograph taken of herself and two-month-old baby Oda so she could send it to Thomas. Although born into this worldwide upheaval, once World War 1 ended, Oda grew up in a Denmark which began to thrive once again. Oda loved being with her two sisters and three brothers, excelled in school, had many friends, and enjoyed her life in Aalborg. She developed a love of nutritious and delicious food. She particularly enjoyed visiting her neighbors who might sell some of the produce from their gardens. Every spring, even many decades later, she was on the lookout for young English peas which reminded her of those sweet childhood days. One of my favorite photos of Oda. She’s wearing an outfit that a doting auntie (Tante, in Danish) made for her. Oda developed and displayed many of her strongest qualities at an early age — strength, determination, and bravery. She was smart and capable. She was happy and energetic. These characteristics served her well during the challenges that she would have to face during her lifetime. Now it is 2018, and in the coming months watch this space for monthly updates on the life of our founder, Oda Lassen. On January 8, we remember and mourn once again her loss five years ago in 2013 at the age of 94 1/2. But we honor her and everything that she dreamed for our family and our business. So Oda, we are thinking of you in 2018 — one hundred years since the year of your birth!